When it comes to working within the community, one of the most important clients we have is our commercial clients. We have been working within this tight community for years, and are proud to be offering our pressure washing at a practically unbeatable price. 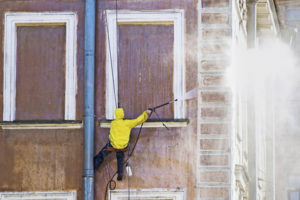 From commercial storefronts to the very busy shopping centers around Fredericksburg, VA, our team is the premier option for all thing pressure washing. Here are just a few of the great services we offer our commercial clients! Parking Lots– A parking lot is one of those areas that takes a bit of work to get clean, and the only team you can trust to get this important work done is a team like Fredericksburg Pressure Washing. We have been completing these jobs for years, and once we are finished you might forget that this is not a fresh pave! 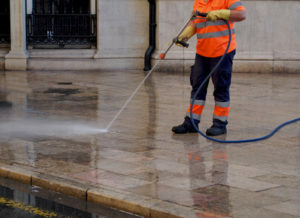 Sidewalks– Commercial sidewalks are a bit of a headache, but with the team at Fredericksburg Pressure Washing on your side, you will be able to quickly see why we are the team for the job. From asphalt to concrete, our pressure washing will ensure that customers have a great first impression of your company. 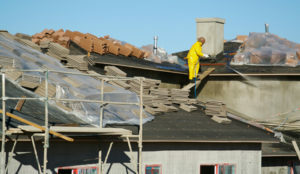 Buildings– Commercial buildings need a good cleaning every few years, and we are the men for the job. From full storefronts to standalone buildings, the team at Fredericksburg Pressure Washing has done it all! Restaurant Kitchens– Kitchens are often a nightmare to fully clean and to ensure your restaurant kitchen is done right, you need to pressure wash it. 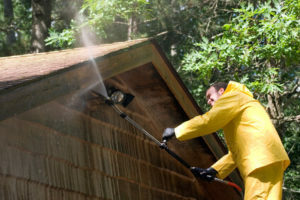 Here at Fredericksburg Pressure Washing we have been doing this for years, and cannot wait to help you make your space a little better.